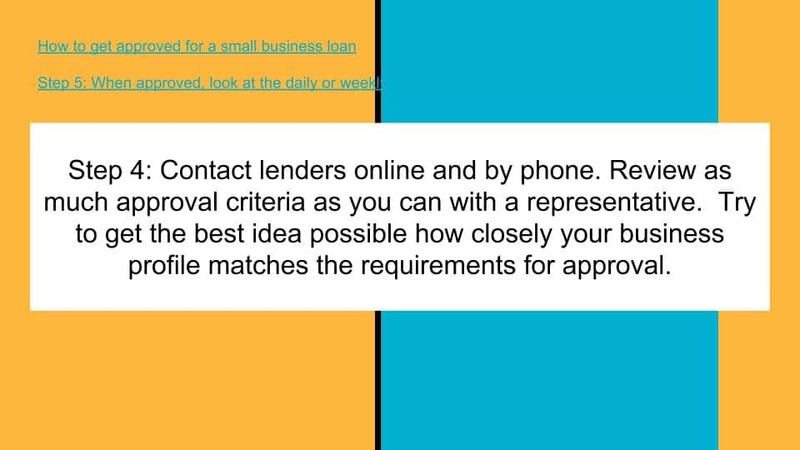 Please review small business loan articles as needed as a resource. 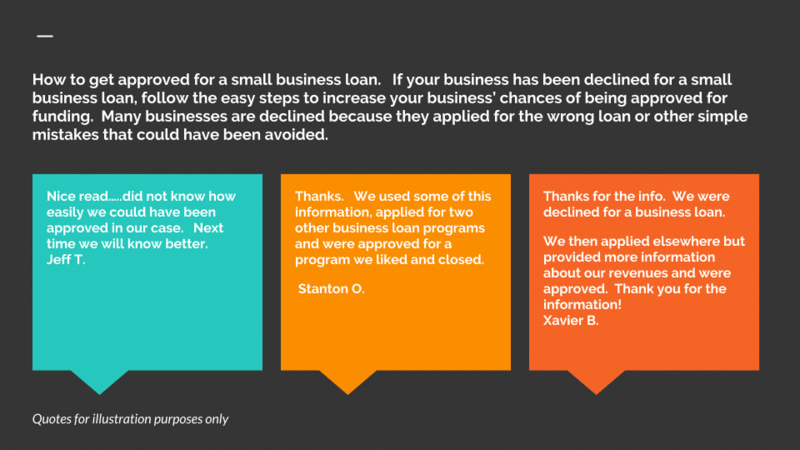 Read up on tips, how to’s and steps on how to get a small business loan. 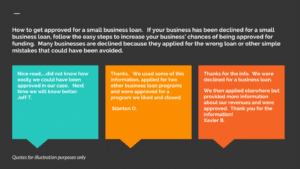 Small business loan articles and resources. Information including tips and steps on how to get a small business loan. 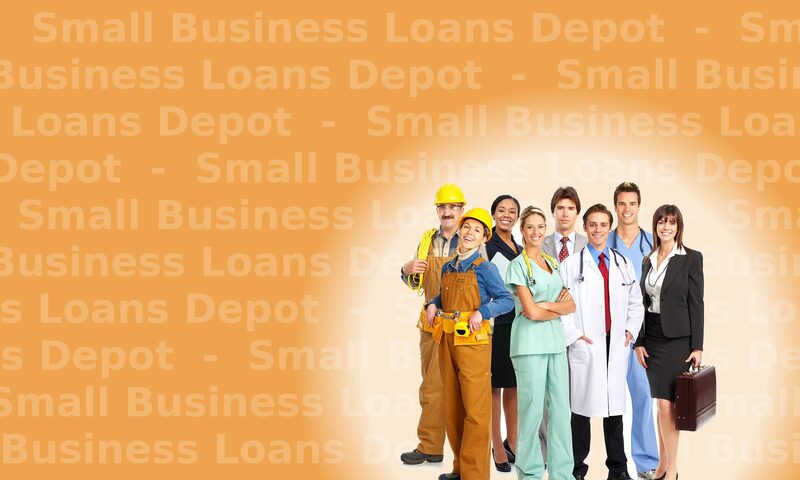 Find articles on different types of small business loans including asset based loans as well as loans on equipment. 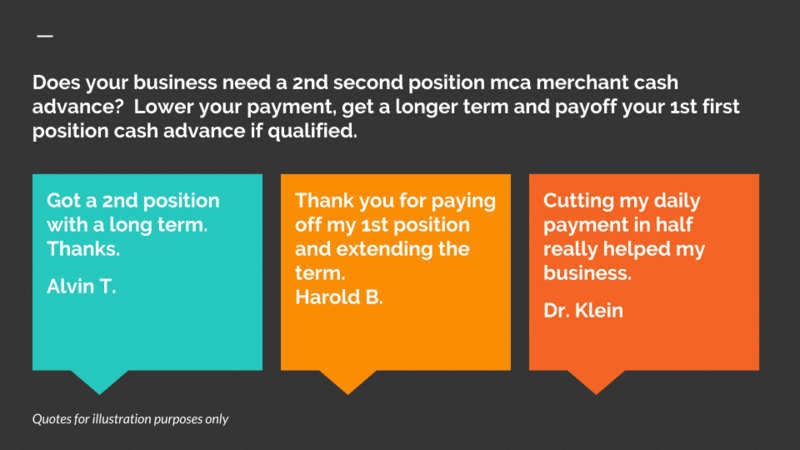 Other articles cover mca merchant cash advances and accounts receivables financing. 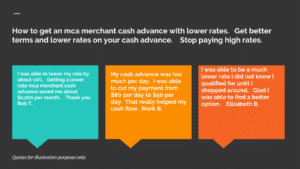 Merchant cash advance information includes getting low rate cash advances and how to get out of a merchant cash advance if they are causing your business a cash flow problem. 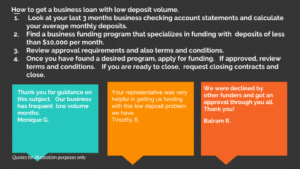 Information on how to get a soft pull business loan. Soft pull merchant cash advances also available. 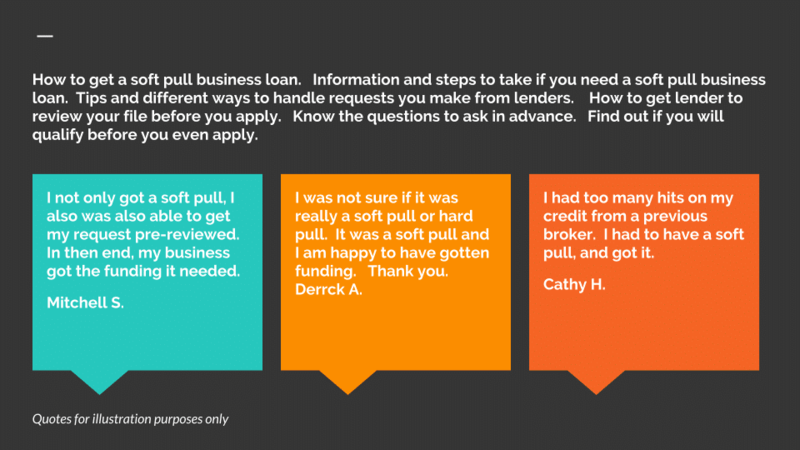 What is a soft pull business loan? Definition of a soft pull: In general, a soft pull is when personal credit is pulled and checked but does not show as a credit inquiry and does not lower your credit score. Step 1 When applying for any type of credit or funding, review the website to see if credit pulls will be a soft pull or hard pull. If it does not state such and you are interested in the service, call a representative and ask. 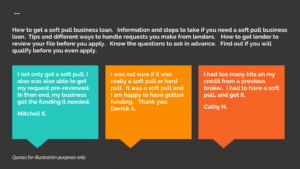 Step 2 Once credit will be pulled, ask if it will be a soft credit pull or a hard credit pull. 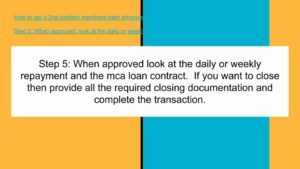 Step 3 Some lenders will review your information and can pre-approve you or make a pre-assessment without any credit being pulled. Ask for a pre-application review. Step 4 When it is a soft credit pull and the lenders criteria matches your need, consider applying. 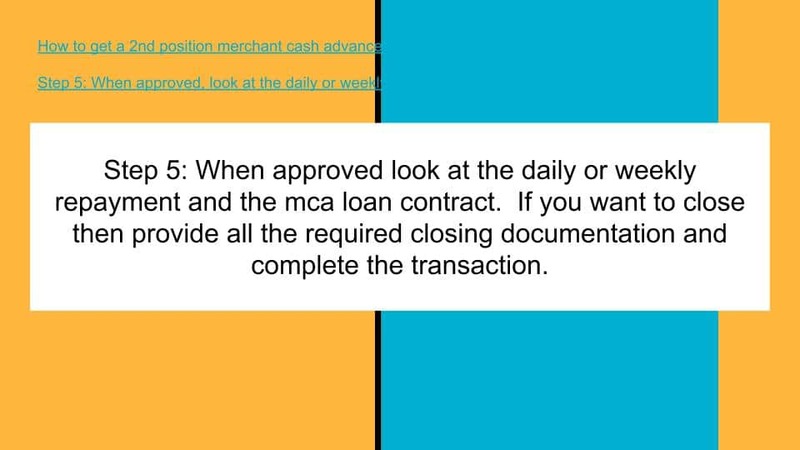 Step 5 If approved, review final terms and conditions. If acceptable, complete transaction. Complete the Secure DocuSign Secure DocuSign 30 Second Application now. I need a soft pull. Can you do that? This will be a soft pull. When you apply tell the representative that you want to have a soft pull. I have a recent credit report already. Can I just provide you a copy of my credit report and get a decision using the report I already have? When your credit report is less than 30 days old, it can be used. We will get back to you with an assessment or pre-approval, after which you can decide to proceed with a full review and a soft pull can be done to try to make an offer. I have to have a soft pull. The last company I used pulled my credit so many times. They were a broker. Can I get approved with just a soft pull? You can get approved with just a soft credit check. We will make sure it is a soft pull and not a hard pull. Tell us immediately you only want a soft pull and we can arrange for the credit pull to not affect or lower your credit score. If a previous company ran your credit 5, 10 or more times, then we will keep help you keep your credit from taking more hits. We will work with you step by step to make sure the process has the minimal affect on your credit and credit score. Can you review my file before you pull credit or before you do a soft pull? Yes. We will review your file before credit is pulled and respond to you with either a pre-approval or assessment of your file. After the review, processing can be completed to try to make an offer or give an approval. A free detailed review can be discussed with you before your file goes into underwriting. Am I limiting my options by not allowing a hard credit pull? You may be denying yourself better rates and longer terms when applying for a small business loan if you do not allow a hard credit pull. How much do hard credit pulls hurt versus a soft pull? Hard credit pulls hurt your credit score little and for only a short amount of time. Credit scores going down from too many inquiries pulled in the span of a few weeks will recover within two or three months. 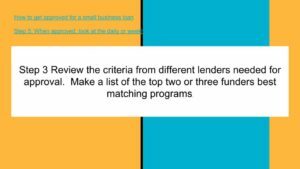 Need a 3rd third position merchant cash advance? Decide how much money your business needs. Then calculate how much the business can afford to pay each day. For a 3rd position advance, figure out how much is the maximum you can afford per day and the total your business can pay for cash advances overall. 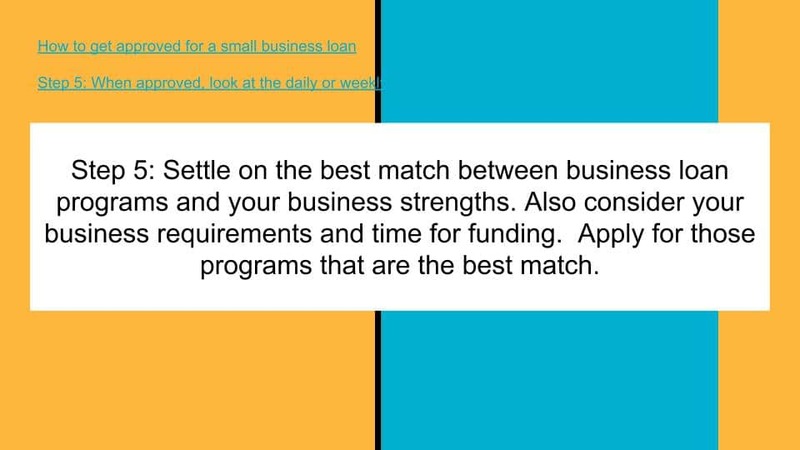 Apply for the cash advance program that best matches your business cash flow. If approved, review all closing documentation and requirements. If needed have a specialist review the contracts and return completed contracts and all documentation for funding. Complete merchant funding call with the funder. Funds are deposited into your business checking account the same day or next day. 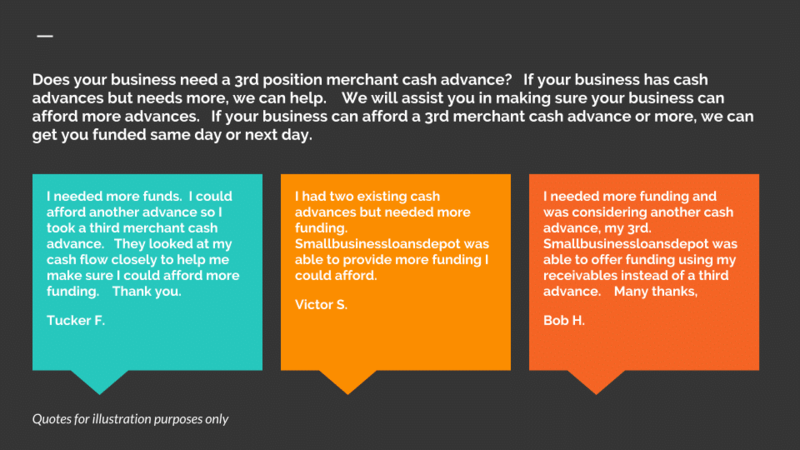 Does your business need another cash advance? My business needs capital. 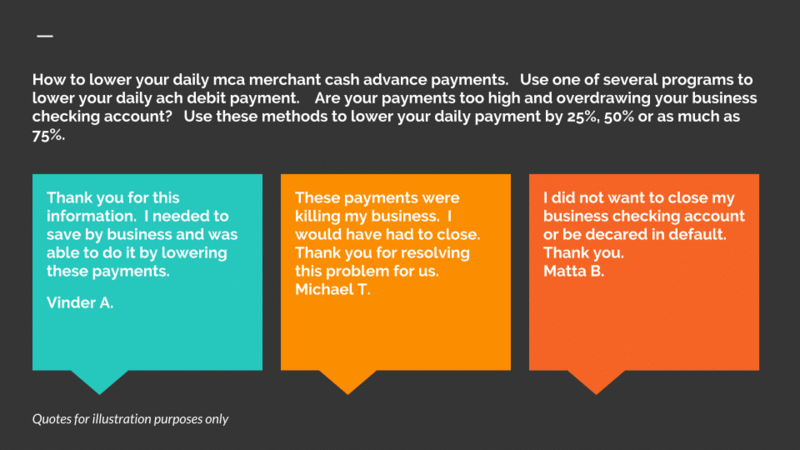 We already have 2 merchant cash advances but need more capital. 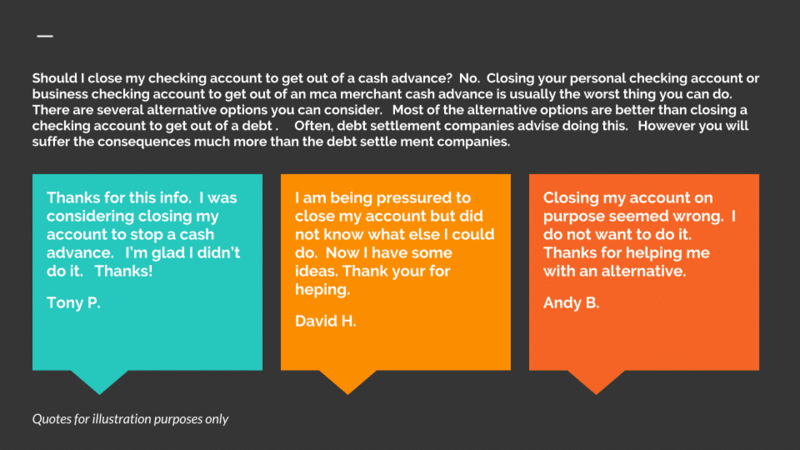 Can our business get another cash advance? 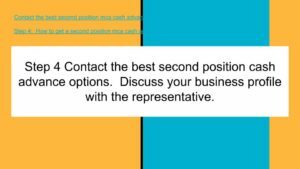 We need a 3d position merchant cash advance. Answer: yes. 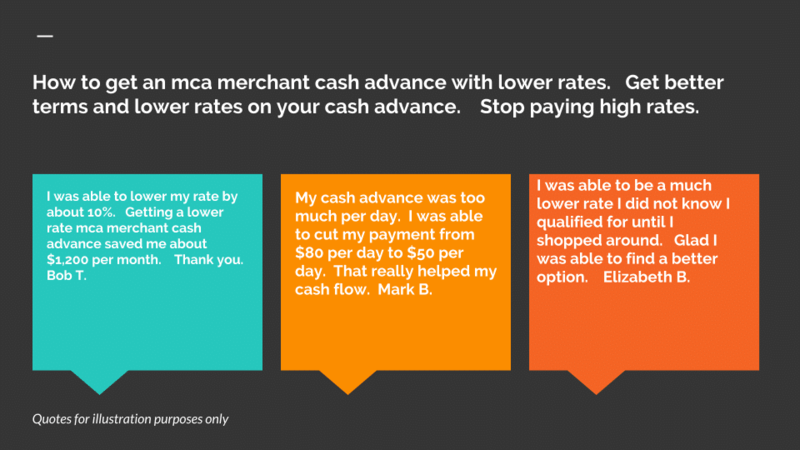 Your business can get another merchant cash advance. We will also assist you in making sure your business has the cash flow to handle and pay the cash advance. If so, your business will be made an offer. Payments and terms can be between 60 and 180 days. The terms offered will depend on your business’ cash flow, and ability to handle the debt and repay. Will the funder decline me because I already have cash advances? 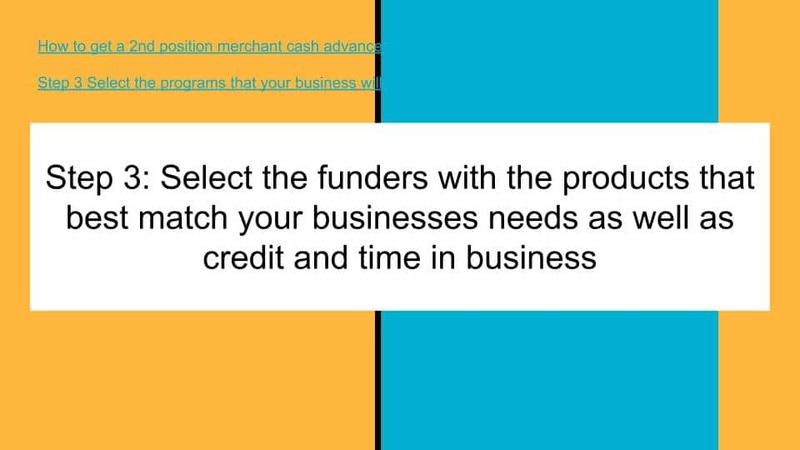 No, the funder will not decline your business because you already have cash advances. 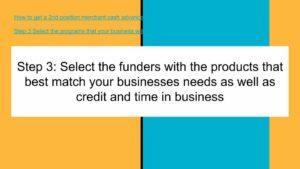 The funder will review your cash flow and determine how much more funding your business can handle. I want the maximum I can get. How do I know if the lender is offering the most I qualify for? Your business will always get the highest offer it qualifies for. Whatever your business profile can be approved for, your business will receive that offer for funding. There are not any limitations on the program. You do not have to worry that you should have received more funding under another program. Your business will always get the maximum it qualifies for. Final offers will depend on the cash advance company’s guidelines. Are there other programs available for funding instead of getting another advance? Yes, there are several other programs that your business might qualify for instead of a cash advance. Some of those that many businesses might qualify for are listed below. Accounts Receivables Financing is a type of financing through which your business can get paid now on invoices for payment that have already been sent. This works especially well if your business often has to wait 20, 30 or more days to get paid. The cash flow of millions of businesses suffer because they are paid 2 to 6 weeks after issuing an invoice for payment instead of immediately after an invoice has been sent. Funding based on the real estate you own, commercial or residential. Take the equity out of Real Estate and also get a tax write off in many cases. 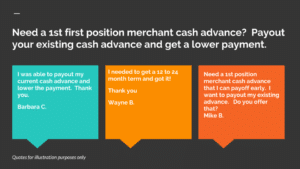 Need a 1st first position merchant cash advance? Complete the secure DocuSign 1st Position Cash Advance Application now. Or call us at Tel: 1-919-771-4177, or Do you need a 1st first position cash advance? Review your funding requirements. Calculate how much you can afford to pay per day or per week. 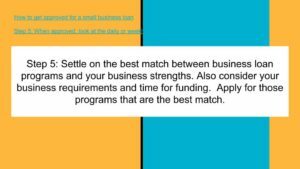 Apply with a merchant cash advance company or funder that offers the best products that match your businesses’ cash flow, credit and time in business. If your business is approved, review the daily or weekly repayment terms and the merchant contract. If you agree, submit all the required closing documentation and close transaction. 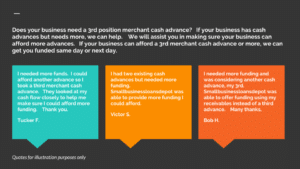 Need a 1st position merchant cash advance? 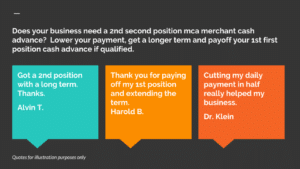 I am looking for a 1st first position merchant cash advance. Do you offer a 1st first position with lower rates? Answer: yes. You can be approved for a 1st first position and also get rates as low as 1.18. If you have an existing position now, another benefit is paying off your existing 1st first position cash advance. Buying out your existing 1st first position will mean you will still only have 1 merchant cash advance position after funding. We may need funding again later. Can you help ? Yes. Renew at 50% and 75% paid down. Terms are usually 60 days to 360 days. Options are available for 3, 4 and 5 years if your business qualifies. 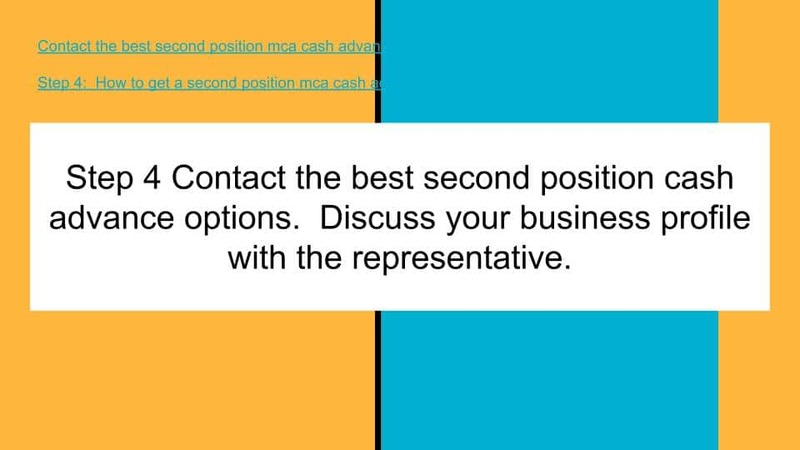 Need a 1st first position merchant cash advance? Lower your daily or weekly payment. What if I have an existing merchant cash advance and also want to pay it off ? If your balance is low enough your existing position can be Paid off. You will still have only one advance. I only need funding now and do not want funding in the future. Can I get longer term ? There are longer term programs between 1 year or 252 business days, 18 months or 378 business days, or 2 years and 504 business days available. Fast funding. 1 to 2 hour approvals and same day funding available in many cases. Is credit important when applying for? Credit is not a main factor. The company’s cash flow is more important. I need a lower daily payment or a lower weekly payment. 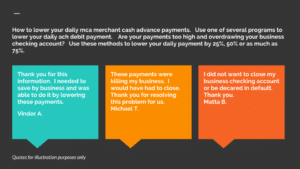 Can I get a lower daily payment on a first position cash advance? Lower daily, weekly and monthly payments are available. Terms can also be extended up to 12 or 15 months or longer to lower your payment. How can my payment be lowered? 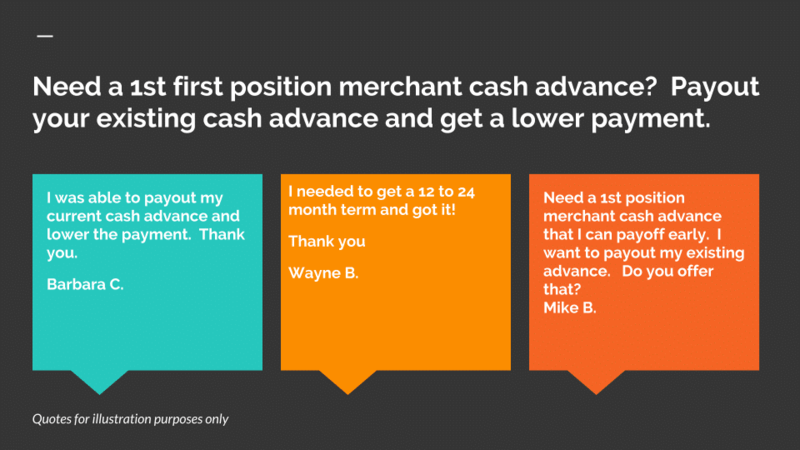 Your payment can be lowered by buying out your 1st first position merchant cash advance. If the balance of your first position has been paid down more than 50%, then the 1st position can be paid out. A longer term of 12, 15 or 18 months can be approved and your daily payment will be lowered as much as 25% to 50%. 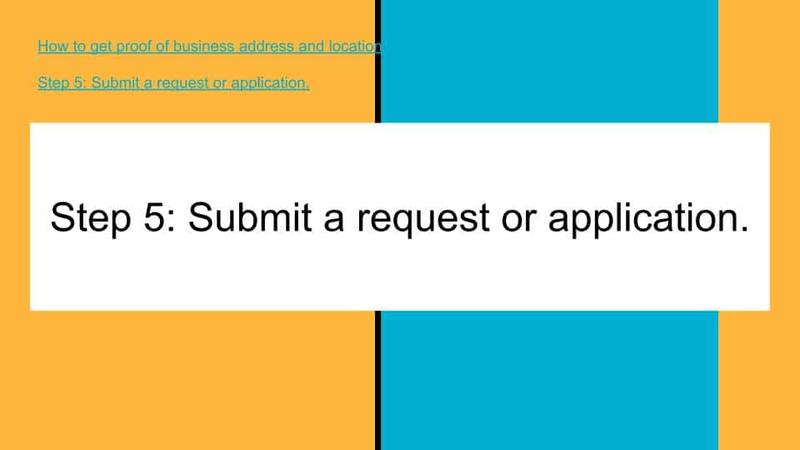 If I do not qualify, what other programs can my business be approved for? If your business does not qualify for this program , there are other programs you may also qualify for to. If a merchant cash advance cannot be obtained, a further option is also accounts receivables financing. When your business has to wait more than 2 weeks to get paid on invoices but needs funding in one or two days, review accounts receivables financing. Get paid about 75% of the face value of the invoice immediately. Once the company you have invoiced pays, get the remainder less a 1% to 4% fee. Complete the secure Docusign Get money for payroll now. Or call us at Tel: 1-919-771-4177, or get payroll money here. Step 1 Review your payroll needs. Calculate how much you need, for how long and how soon. Step 2 Get your business financial information together. This includes an interim or monthly profit and loss statement, copy of your monthly payroll, tax returns and bank statements. Step 3 Look for payroll finance companies that meet your needs and requirements. 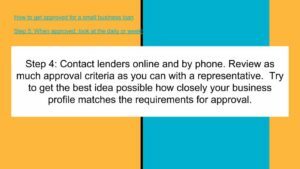 Step 4 Contact qualifying companies and request their qualifying criteria. Match and prioritize your needs with company that meet your criteria and can qualify with. Step 5 Once approved, review terms and contact. If accepted, provide all closing documentation and complete transaction. Received funds for payroll into your business checking account. Need money for payroll asap. 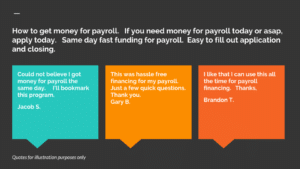 Can you fund payroll today? Answer: In many cases, yes. If you qualify and apply before 2 P.M., same day funding may be possible. Get money for payroll same day or next day. 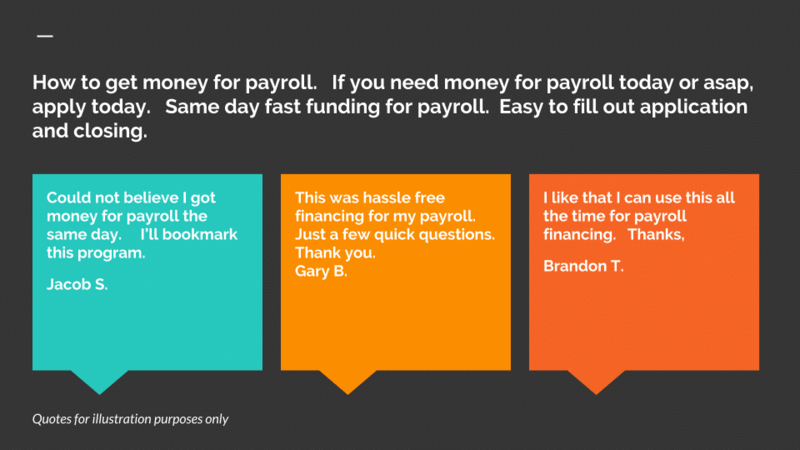 Use the financing each time you need funds for payroll. We may need money for payroll again. Can we use this financing in the future to financing payroll? Yes. You can use the financing like a line of credit. You borrow, repay and reuse the line again. Terms are usually 30 to 90 days. Options are available for longer term if your business qualifies. How can you get money for payroll? Find companies that offer company payroll financing. Find out what their requirements are. Once approved, provide all closing documentation required. What if I have 1099 contractors and are not official employees of the company? Indicate this when applying. There are programs available to financing your employees if they are 1099 employees. I only need payroll financing this time and do not expect to need it in the future. Can I get longer term payroll loan? There are longer term programs if you believe your company will rarely need payroll financing in the future. Terms available are monthly and can be financed for as long as three to five years. Is credit important when applying for payroll financing? Credit is not a main factor in payroll financing. The strength of your business and cash flow of your business is more important. If I do not qualify for payroll financing, are there other programs available? If your business does not qualify for payroll financing, there are other programs you may qualify for to meet payroll. Loans based on the cash flow of your business. If your business generates more than $7,500 per month in deposits and has more then 4 deposits per month. If payroll financing cannot be obtained, another option is also accounts receivables financing. If your business is waiting more than 2 weeks to get paid on invoices and needs funding within one or two days, consider accounts receivables financing. Get paid approximately 75% of the face value of the invoice immediately. Once the company you have invoiced pays, get the remainder less a 1% to 4% fee. We are struggling to meet payroll by the end of the week. Can you fund payroll by the end of the week? Payroll funding can be provided by then end of the week. Apply now above.